" Is volume always necessary in Blues? The answer, no, is provided by UK band The Achievers. On their new album they show that with an intimate but very assured swinging sound you can deliver a very good blues album. . They deliver an album full of sultry intimate Rhythm & Blues with well-groomed vocals." 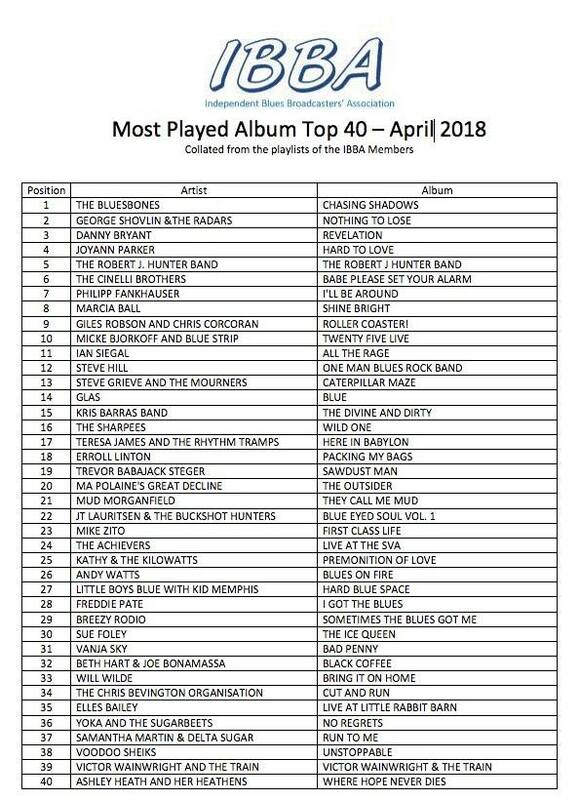 Live at The SVA was the 24th most played album by the Independant Blues Broadcasters Association, up there with some heavy hitters, hot tickets and major players. The Achievers will return to London's 100 Club to open for Daptone's The Como Mamas - Thursday 26th july. The Achievers debut album is available to buy now. Recorded live in one day it totally captures the band's dedication to playing 'in-the-moment', choosing not to rehearse and instead letting energy and musicianship do the business. It's always been that way. Of the ten track three are R&B belters, two are traditional songs with the band's own arrangement and five are original songs. Of these original songs 'Come Along' was improvised on the day and captured in one take, based on Steve's lyrics. During the mixing process, some hand claps and extra harmonies were added to this track by the very talented Laura Dinham. The Achievers debut album 'Live at The SVA' will be available in March 2018. The Achievers are hitting the road again with an 18 date tour of the UK and Europe. The Achievers gathered in their home town at Stroud Valley Art Space to record their debut album. Recorded totally live and in 1-2 takes the record will capture the bands own material and a small selection of favorites from their live set. 'Honest and un-polished' were the watchwords on the day - the band simply relaxed and let it all hang out. The album will include a never before heard original composition (the band hadn't even heard it) - improvised on the day based on Steve Ferbrache's lyrics. A snippet of which can be heard on the video clip. Album due for release: March 2018. ANOTHER CRACKING NIGHT ON AT THE 100 CLUB! It was a great pleasure to open for Tommy Castro and his band, The Painkillers on their recent UK tour. A joy to be back at the legendary 100 club and perform for such a receptive, friendly audience. They were up for a party on a Monday night! The Achievers have been invited to join Tommy Castro on his UK Tour and open their show at the 100 Club, London on 4th December. The Achievers followed Dr. Feelgood up the M1 (with consent) to open for them at The Wardrobe, Leeds. Another packed house and a great venue. The Achievers joined Dr. Feelgood on tour at 100 club, London and played to a sold-out crowd of Rhythm & Blues fans. A great honour to open for a legendary band at an iconic London venue. A superb afternoon had by all at the brilliant Wotton Blues Festival - a large, 'up-for-it' crowd on a sunny Sunday afternoon...what more can you ask for! 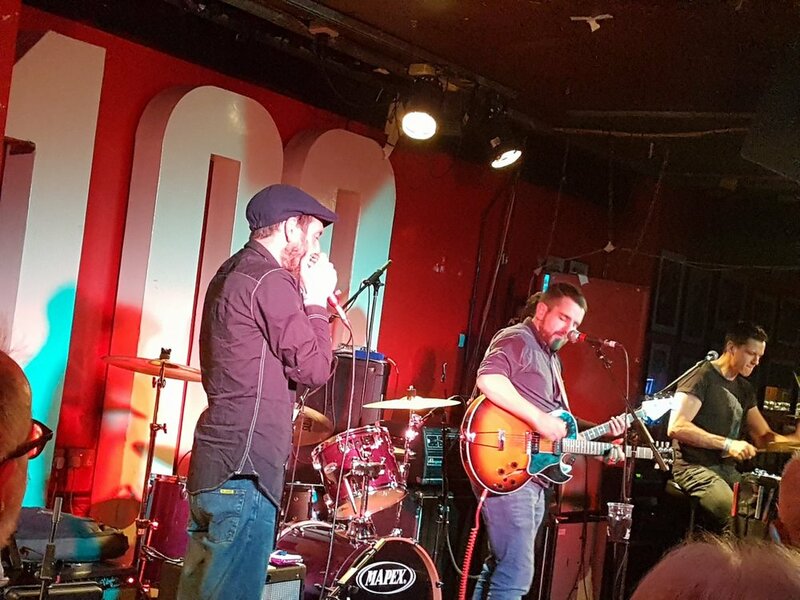 The Achievers kicked off the Stroud Fringe Festival weekend in their home town of Stroud, Gloucestershire with a gig at the pub they met in. Here's our version of dubiously credited Willie Cobbs song 'You Don't Love me' - also know and written by Dawn Penn & Bo Diddley. The Achievers ended their European Tour at the superb Hijack Café in Bologne-sue-Mer near Calais. The Achievers headed West to Bonn for a great night at Zone Blues Bar - a petite but charming and whiskey fuelled bar in the centre of town. The capacity crowd (the bar holds 35 people!) were great fun. Our performance at an amazing wedding in Lake Como - we do play the occasional wedding for fans of vintage dancing music! Then, onto a packed house in Bamberg, Germany. One hell of a drive to Nice and then onto Porretta Soul Festival, Italy. A ROAMING SOLO IN NICE! Aron takes a stroll during his solo in Nice...ace gig, hot as you like! After a welcome rest day in rural France, it was standing room only for The Achievers' performance in Dijon - a relaxed sit-down crowd was soon on it's feet! After a pleasant trip across the channel The Achievers begin the overseas part of their tour with a relaxed affair in Brussels - a steady Monday night allowing the guys to loosen up and indulge themselves in the local hospitably (beer), resulting in a rare but enjoyable venture into Marvin Gaye! The European Tour continues with another great gig, this time closing the main stage at Silverstone Woodlands for the 2017 F1. The Achievers played to a packed house in their home town at the legendary Prince Albert Stroud - couldn't have asked for a better start to the tour. ...Short shot of the superb crowd here, great bunch and a wild night! The Achievers had the pleasure of performing at one of the finest venues we've seen - The Sound Lounge, Tooting. What a place, and what a crowd! We delighted so many people came out to see us - we had a brilliant night and can't wait to return. A brilliant night, a great crowd of 'up-for-it' revellers....we will return! We've just recieved news that The Achievers will be headlining the Rufus Thomas Cafe Stage on the opening night of The Porretta Soul Festival, Italy - 21st July 2017. The Achievers European Tour is in place with the final available date being snapped up by Zone Blue Bar in Bonn, Germany. The Achievers will be certainly covering plenty of ground - the tour will have them perform ten concerts across England, Belgium, France, Italy & Germany. Further details will be announced in the coming months. The Achievers are in the finals stages of confirming a ten-day tour of the UK and Europe, including performances in Belgium, France, Italy and Germany. Full Tour schedule to be announced in Spring 2017. We'll be kicking off a busy and exciting year with a gig at Glocester Brewery. 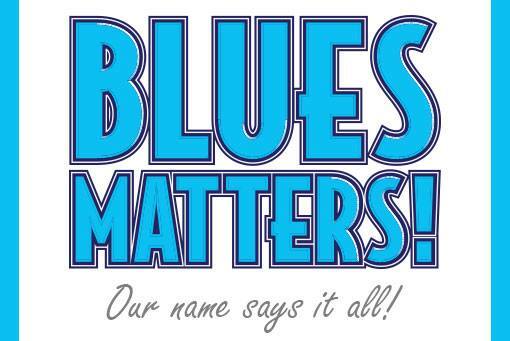 Their new Blues, Soul and Roots party night have been gathering great momentum and it's great to be involved. The Brewery is an excellent venue and of course has the most amazing beer brewed just a few yards away! Free entry and door open at 7pm. The Achievers will be part of Gloucester Rhythm & Blues Festival in 2017 - we're particularly chuffed with this as it'll act as the last day of our European Tour...and it's nice and close to home. We've heard great things about this festival and we really keen to get involved! The Achievers return to Silverstone Woodlands! Great news this morning as we confirmed a return to Silverstone Woodlands - the music festival that accompanies the Formula One in mid-July. We did two great gigs there last year - Formula One and the Moto GP - and got some amazing feedback. We're confirmed for Sunday 16th July - 7:30pm. ALBUM: "LIVE @ THE BLUE ZUCCHINI"
It features audience favourites from our set including: 'The Cuckoo', 'Little Girl', and 'God Almighty...' We really wanted to capture the experience of an Achievers gig on CD and recording everything live really fits with our philosophy of performing Rhythm & Blues 'in the moment', just like the audience is experiencing it. We are pleased to be able to have a CD for folks to buy at our gigs, people have been requesting it for a while so we're excited to make this available. Previews will be available in the coming months. We have just confirmed that we will be part of this years Wotton Blues Festival. It's a great festival local to us here in Gloucestershire. We will be performing on Sunday 24th September - 4pm. THE ACHIEVERS AT THE PORRETTA SOUL FESTIVAL, ITALY! We are so chuffed to confirm that as part of our European tour we have been offered a place at the World famous Porretta Soul Festival. The festival is a Mecca for fans of Southern Soul music, particularly the music of STAX records. International legends of Soul music play every year and we're delighted to have the chance to share the stage! We're quite excited about this one - it also helps that it's a very beautiful part of the world! The Achievers are going on European Tour! The first few confirmations have come in for our first tour of Europe. We've got some exciting gigs in some beautiful parts of Europe and can't wait to get a foot on the touring ladder! We'll of course be promoting our new live album (more info to follow) and doing everything we can to share our brand of vintage dancing music! 'Excited' probably an understatement...and there's still lots of hard work to do! Tour dates, venues and details will be announced in Sprig 2017.